All of our puppies’ medical needs are attended to by Dr. Richmond and Dr. German of The Animal Hospital of Whitfield County, exclusively. We are proud and pleased to receive their services, in initial examinations of all new puppies shortly after arrival, managing any health issues that might arise, designing our sanitation and vaccination protocols, and providing us with trusted, expert advice in caring for our animals. Mount Berry’s highly trained team of animal care professionals provide the care we want for our animals, now and in the future. Every puppy purchased from Petland of Dalton comes with a free Veterinary exam within four days of purchase, to help ensure our customers they are receiving a healthy puppy, but more importantly to ensure the puppy’s owners know how to maintain the health and wellbeing of their new puppy. 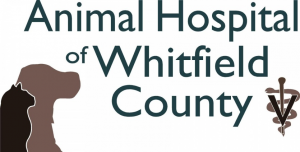 These initial examinations are exclusively with The Animal Hospital of Whitfield County, the people we trust with managing the health of our puppies. We encourage all of our customers to click here to visit their website to learn more about The Animal Hospital of Whitfield County !